Thanks to the support and participation of motorists nationwide for its "Buhayin Ang Laban Para Sa Ginto" program, Phoenix Petroleum is donating P50 million to Siklab Atleta Pilipinas Foundation in a bid to help Filipino athletes win the country’s first Olympic gold medal. Phoenix Petroleum led by Brand and Marketing Assistant Vice President Celina Matias, and the Phoenix Fuel Masters basketball players led the launch of the donation drive at Phoenix Multinational, Parañaque station on Independence Day 2018. In culmination of its "Buhayin Ang Laban Para Sa Ginto" donation drive, Phoenix Petroleum turned over a cash donation of P50 million to Siklab Atleta Pilipinas Sports Foundation on September 7, 2018. 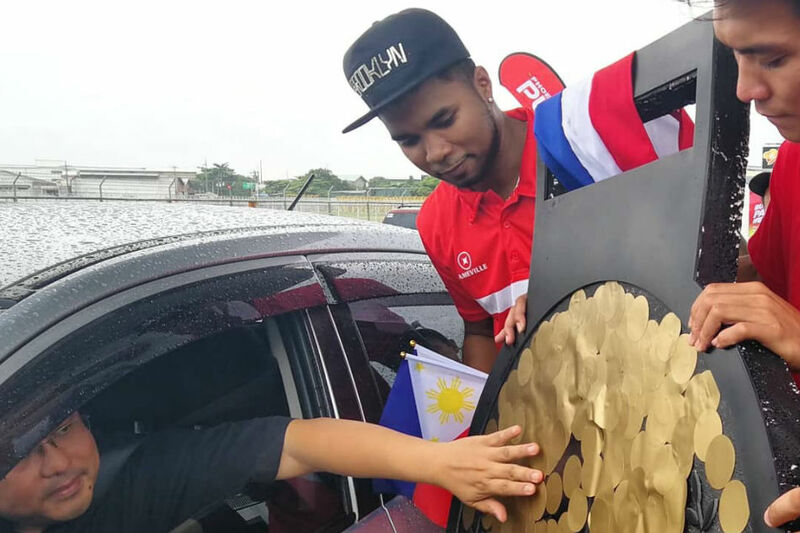 Phoenix Petroleum launched the campaign on Independence Day in support of the country's dream of winning its first Olympic gold medal at the upcoming Tokyo 2020 Olympic Games. 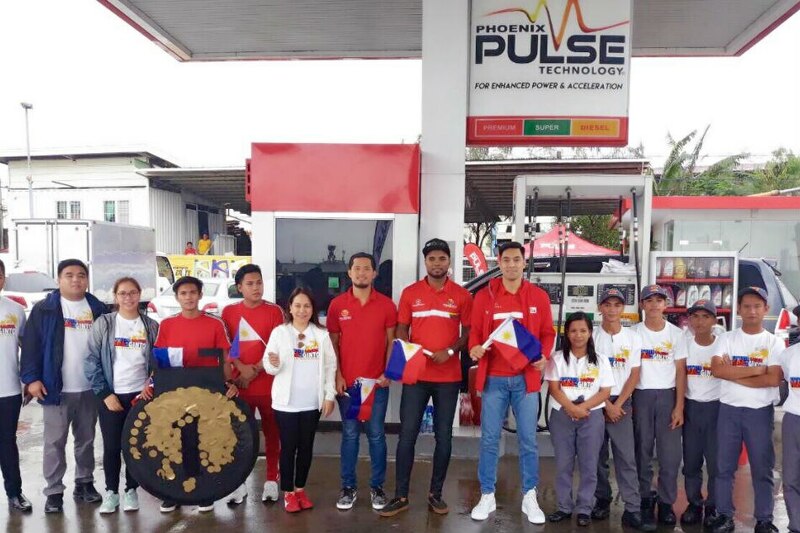 The company pledged to match every liter of Phoenix PULSE Technology-blended fuel purchased at Phoenix stations from June 12 to August 12, 2018 with a 25-centavo donation to Siklab Atleta. The two-month-long campaign gathered a total of P25 million from customers who fueled up at Phoenix. Overwhelmed by the support of fellow Filipino motorists, Phoenix Petroleum doubled the amount—making the total amount to be donated P50 million. Phoenix Fuel Masters JC Intal and Joseph Eriobu encourage Phoenix motorists to help make the country’s Olympic gold dream a reality by contributing their gold coin to the Olympic medal mock-up, during the launch of the "Buhayin ang Laban Para sa Ginto" donation drive on June 12, 2018. "We thank our fellow Filipinos who showed their nationalism by participating in our donation drive. This initiative aims to reignite Filipino patriotism and the spirit of bayanihan, as we all work toward a common goal, which is to bring glory to the Philippines," said Phoenix Petroleum Chief Operating Officer Henry Albert Fadullon. Siklab Atleta Pilipinas Sports Foundation, Inc. is a private non-profit organization launched in 2017, which aims to bring to life every Filipino athlete's dream of winning a gold medal in the Olympics. Phoenix Petroleum is one of the top companies in the country who has pledged to support the projects and initiatives of Siklab Atleta.